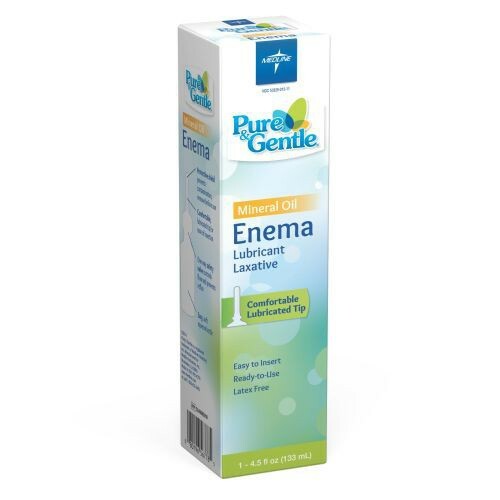 Pure and Gentle Disposable Mineral Oil Enema is ready to use straight out of the box. This mineral oil lubricant laxative is ideal when you need relief from occasional constipation and works in minutes. The tip is pre-lubricated, soft, and flexible for increased comfort during application. Also, the applicator is latex-free to eliminate risk of allergic reactions. This allows more people to safely relieve their constipation.